My name is Coty, I'm 33 and I am from outside of Nashville, Tennessee. I have been lurking on this forum for about a month. I picked up my first AA yesterday out of Georgia. It's a 1930. I say first because I hope it's not my last. 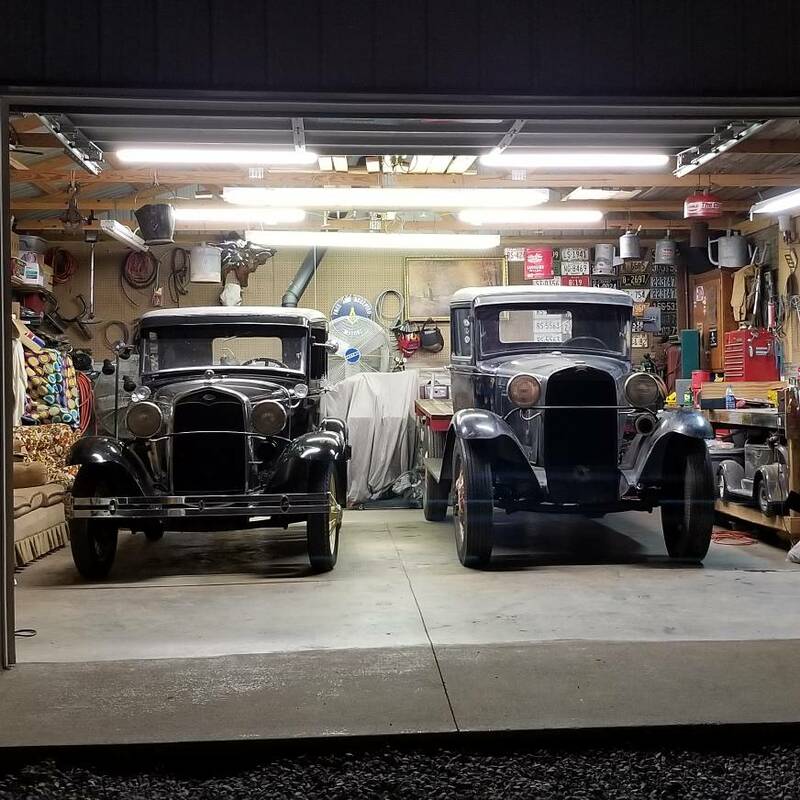 I have had a 1930 Model A coupe and currently have a 1931 Model A Tudor. I don't have much information on the truck. So I welcome any info or insight any of you may offer. The truck does not run and I don't have any idea how long it's been sitting. Judging by the running boards running so far back I ASSUME the truck a original express bed truck. Last edited by garagekulture13 on August 1st, 2018, 5:19 pm, edited 1 time in total. your intro sounds like the opening statement at a AA meeting. not to joke about addiciton, but AA's can become a compulsion and expensive habit. nice truck, great photos. thank you. Some stake bed models had long running boards and rear fenders. I would start a hunt tracking back owners and see what you find. There may be an Express bed laying by a barn. 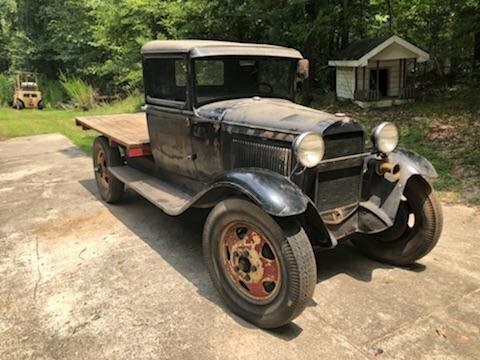 My name is Coty, ............... Judging by the running boards running so far back I ASSUME the truck a original express bed truck. Coty, for 1930 only the 89-A express body was used for AA131's with long running boards and long shields. See - http://aafords.com/open-bodies/express- ... a-express/ and the detail page at http://aafords.com/open-bodies/express- ... s-details/ for information about the 89-A express body. My truck also had the long running boards and aprons (what was left of them) when I got it and I've wondered if it wasn't an express as well, However couldn't someone have ordered them as an option from the factory or from the dealer back in the day for a stake bed? After all the beds all have fender brackets. What would the judging standards say? Are period modifications/options points off? What about Coty's 29 headlight bar it may not have left the factory that way but it's still of the period? Regardless it looks like a good solid truck. I suggest you take a look at the introduction of the RGJS. "The Guidelines attempts to define....... as it was driven off the assembly line." If you are interested in having your vehicle agree with the standards, then "period modification" is not what you want. Most don't plan on having their vehicle judged. So, almost anything goes. After sooooo many years parts get changed to whatever fits. An 88-A platform (like is on your AA) would not have had the fender braces installed from the factory. It is likely the platform on you AA was a replacement sometime in the past. Also, Ford didn't make fenders for dual wheel in 1930. Thanks everyone. All this information is exactly what I need. There is a round shelf on the interior of the truck on the passenger side in the back cab corner. Is this there for something specific? I will take a pic asap. I also will take a pic of the end of the running board area. As far as where I plan to take the truck I'd like to keep it stock. If possible I'd like to take it back to how this one was made. I don't mean judging condition but I'd like it to be as it was when built. Hi, nice truck! That headlight bar may be original. 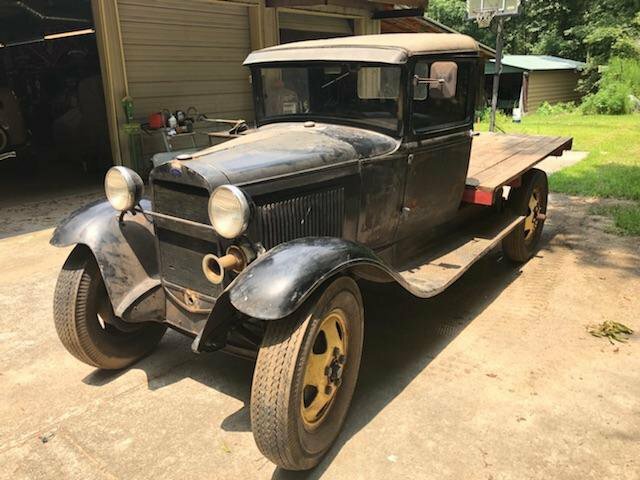 I bought a late 30 open cab AA farm truck that was kept indoors all of it's life, no rust and mostly stock with the exception of a FABCO frame extension and spring set. It had the 28/29 straight headlight bar with the painted steel 30/31 headlights. I am looking for a picture of it. 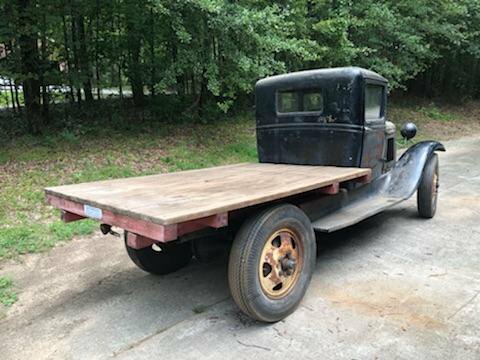 I actually swapped cabs with a small Model A closed cab pickup, because I wanted a 30/31 Model A roadster pickup and a closed cab AA. I shortened the frame to 131 1/2" so that I could turn around better. I also put in a high speed rear axle as well as cast iron brake drums from a 33 Ford truck, '28 underdrive (retaining the 4 speed) and a B head/cam. And 7.50 x 20 tires like on your truck (you need a lot of LARGE C clamps to squeeze the tire so that the lock ring can be installed). It's fun to bring them back to factory specs, but it's also fun to find the odd parts to enhance the performance. Trucks are what you make them so have fun, learn all that you can and pass it along! Oh, and try not to judge what other people do! Well here are the pictures I mentioned of the mystery bracket on the passenger side behind the seat and of the ends if the running boards. Just an update the original motor did not have any compression so it was swapped with another used motor I had in the shop. She primarily has only been ran around the neighborhood and used in yard work so far until I feel all the bugs have been worked out. I'm in need of a front bumper and there is one on Ebay now for $200 plus like $80 shipping. Maybe I'm off but it seems a little steep to me. I've asked twice and they won't come down on price. from a guy for $25. Hey GK, good news, bad news: I have a front bumper with brackets you can have for $25, bad news is: it is in Upper Michigan, only available in the summer, and I don't want to ship it.